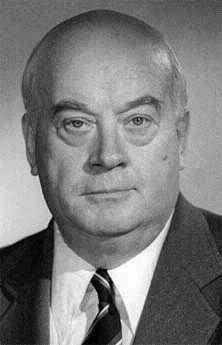 Yevgeny Alexandrovich Morgunov (Russian: Евге́ний Алекса́ндрович Моргуно́в; April 27, 1927 – June 25, 1999) was a Soviet and Russian actor, film director, and script writer, Meritorious Artist of Russian SFSR (1978). Yevgeny Morgunov was one of Russia's leading comic actors. "Plump and bald," Morgunov often "represented a traditional character of Soviet satire - Byvaly, or Experienced, a slightly dull, strong-built drunk whose attempts to commit petty crimes always failed." Read more on Wikipedia.